LankaBangla Finance Limited disseminates information on its operations and initiatives on a regular basis. LankaBangla Finance Limited website serves as a key investor awareness facility, allowing stakeholders to access information on LankaBangla Finance Limited at their convenience. LankaBangla Finance Limited’s dedicated investor relations personnel play a proactive role in disseminating information to both analysts and investors and respond to specific queries. Below listed all our downloadable items. "LankaBangla has been developing its strategies for years based on diversification in markets with high growth potential, a customer-centric business model and technology as key elements in order to face the transformation process being experienced in its business segments. Sustaining earnings amidst challenging times and taking result oriented initiatives have helped us to elevate the company performance to the next level." In the name of Almighty Allah, the Most Gracious and the Most Merciful. 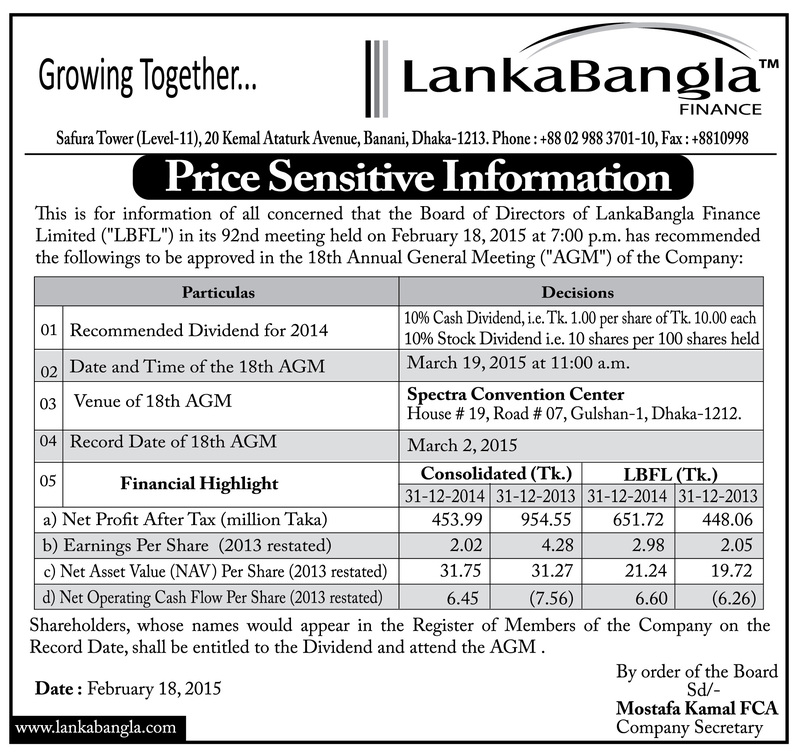 It is our great pleasure to invite you all to the 22nd Annual General Meeting of LankaBangla Finance Limited. I am glad to present the annual report, financial performances with audited financial statements for the year ended 31 December 2018, economic outlook and business strategies for the Company and its subsidiaries. Bangladesh economy grew at a record 7.86% rate in 2018 which is expected to remain at the same level for 2019 ensuring robust economic growth. The fiscal expansion followed the growth trajectory with development budget allocation being 37% of BDT 4,645 billion national budget for FY 2018-2019. Amid robust GDP growth in 2018, broad money (M2) increased at slower rate of 9.41%. The low deposit rate resulted in yearlong liquidity shortage that was intensified due to the regulatory compliance of maintaining the AD ratio to a permissible level. This has resulted in high deposit rate and reduced interest rate spread. During the year 2018 the foreign currency was under constant pressure amid balance of payment and current account deficit which might continue throughout 2019. Devaluation of BDT will definitely boost export oriented sectors but create pressure on inflation rate. The year 2018 has been a difficult year, but as we look back over last five years, our Company had gone through extraordinary length to diversify the Company in terms of product offering, revenue growth, risk management, digital infrastructure and prudent balance sheet management. We have diversified our core lending portfolio with more exposures in Retail and SME customers which comprises of 65.68% of our loan book in 2018 from that of 18.29% in 2013. The diversification of asset base did not stop us from being a strong participant in the capital market. In 2018, we have achieved BDT 444 million net profit after tax from consolidated operations and BDT 714 million from standalone operation of LankaBangla Finance Limited. Earnings per share (EPS) is BDT 0.85 on consolidated basis and BDT 1.40 on standalone basis. The year 2018 being an election year there was some political uncertainties which resulted in liquidity crunch in banking sector and bearish capital market; accordingly, our bottom line result has been greatly affected. The net cash flow per share from operating activities has increased to BDT 3.30 up from negative territory last year. Due to high attrition rate of corporate and institutional (e.g. Financial Institutions) deposits, LankaBangla Finance focused and successfully increased its retail deposit base, at the same time bank borrowing decreased by 16% from that of 2017. Concurrently, we are exploring low cost and long term nature of funding avenue which will increase our interest rate spread. Already, LankaBangla Finance has availed USD 20 million Murabaha facility from ICD (Member of Islamic Development Bank Group) as the first NBFI in Bangladesh to secure Shariah-compliant foreign currency financing. Although, Company’s earnings per share has been down by 79% in 2018 from that of previous year, we never lost sight that matters the most; serving our customers to our best capacity by growing together. As Bangladesh graduates into a middle-income country, the economy is growing more than double the growth rate of world average paving prosperous future in the days to come. In the meantime, LankaBangla Finance Limited has become safer and stronger than ever enabling it to lend and raise capital to ensure growth for both our customers and shareholders. We have strengthened our balance sheet by issuing Right Share that has increased our shareholders’ equity to a new height of BDT 9,823 million up by 18% from 2017. Moreover, subordinated bond of BDT 1,793 million has strengthen our supplementary tier 2 capital. After those strategic initiatives, Capital Adequacy Ratio (CAR) of 16.18% on consolidated basis and 15.74% on standalone basis shows great improvement in terms of safety comparing to the consolidated and standalone CAR of 11.95 % and 11.81% respectively for the year 2017. Our loan book and carrying value of investment registered marginal growth considering tight liquidity position and LBFL’s continuous focus on balance sheet diversification. Our focus on Retail and SME business segment has resulted into more diversified loan book. In 2018 we have added 2 more new branches in an effort to expand our geographical footprint. Comparing to the marginal growth of LBFL’s loan book by 3.2%, its net interest income grew by 11.3% in 2018. Operating expenses growth was controlled successfully as it grew by only 3.7% in a competitive market and comparing to average yearly inflation rate of 5.54% in 2018. Income from investment has reduced to BDT 434.00 million in 2018 from that of 914.00 million in previous year due to bearish stock market performance throughout the year. We had to make provision of BDT 342.29 million for diminution in value of investments and BDT 368.77 million for loans and advances. NPL increased to 3.60% in 2018 compared to 3.07% in 2017. As political uncertainty abates of and the new government consolidates its position, capital market is expected to be upbeat in terms of turnover and general direction in price index. Although banking sector liquidity situation is still tight, it is expected to be better than that of last year. Besides, economic growth, positive corporate earnings in a growing economy and reduced uncertainty are expected to improve the capital market outlook. In 2018, Chinese consortium of Shenzhen and Shanghai Stock Exchange has inked deal with Dhaka Stock Exchange to become a strategic investor of DSE. Expectedly, the technical assistance and collaboration offered by the strategic investor is expected to benefit the capital market in future. Throughout the year 2018, the capital market was volatile and we strived to maintain the momentum. During the year average daily turnover in DSE and CSE has declined by 37.01% and 40.25% respectively compared to the last year. Political uncertainty, yearlong liquidity shortage in banking sector, unstable money market and selling pressure from foreign investors have played vital roles in the downtrend stock market. Our fee based income like brokerage and commission has reduced significantly by 38% in FY 2018. On top of that, we had to put aside considerable amount as provision for margin loans. Despite the afore mentioned situations, our subsidiary Company, LankaBangla Securities Limited, has secured 1st position in terms of turnover for 13 consecutive years in Dhaka Stock Exchange and for 14 consecutive years in Chittagong Stock Exchange depicting our consistent strong presence in Bangladesh Capital Market. We consider corporate social responsibility as an opportunity to work for advancing societal needs and improving communities. In 2018, we arranged 2nd phase of Tree Plantation at Ramu Cantonment, Cox’s Bazar. Besides, we have continued our support to underprivileged people of the community to ensure their health, shelter and education through LankaBangla Foundation. Our board has recommended 15% cash dividend to the shareholders for their approval in the Annual General Meeting. LankaBangla Finance Limited pledges utmost importance in justifiable distributions to shareholders that is consistent with prevailing economy, financial condition of the Company and organizational strategy as a whole. Our most important asset is our human capital. We attract the best talents in the industry through our flagship management trainee program and lateral entries that offers competitive compensations and benefits. We focus on need-based training for next generation of leaders. Newly recruited staffs go through proper orientation, external/internal training depending on the requirement of the job along with on the job training and mentoring. 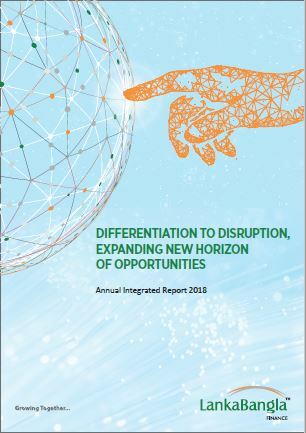 To bolster our strong market position among the NBFIs by capitalizing the network effect of our wide branch coverage, leveraging existing relationships through cross selling and optimizing balance sheet for high-risk adjusted return. We will continue to diversify our revenue streams, reduce portfolio concentration and explore niche markets that have either superior return or reduced risk. We focus on the markets that matches our organizational strength. 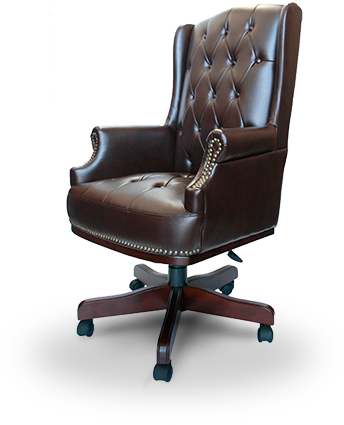 Strong corporate governance and adhering to strict compliance standards are two of the guiding ethos of LBFL. Vigorous effort to improve and maintain adequate liquidity, full compliance to all regulatory requirements will be our priorities like all other years. To maintain and leverage our leading position to materialize opportunities in capital market. I would like to express my sincere thanks to the Board of Directors of the company for their valuable guidance and efforts to keep LankaBangla Finance Limited on right track. We are ever thankful to Bangladesh Bank, Bangladesh Securities and Exchange Commission, National Board of Revenue, Dhaka Stock Exchange, Chittagong Stock Exchange, Central Depository Bangladesh Limited, Registrar of Joint Stock Companies and Firms and all other relevant entities for their tremendous support, trust and indispensable contributions. Special thanks to our depositors and customers for believing in LankaBangla Brand. At LankaBangla Finance Limited, we believe in long-term sustainable performance and value we create though executing our long term strategies. We reiterate that fulfilling the commitment to our shareholders will remain the most important yardstick of our management’s success. We have been able to bolster our capital base with diversified fund sources, build the image of a customer centric organization and provide full range of financial services maintaining good governance, transparency, credibility and advanced IT backbone inspite of the challenges from industry competitiveness, liquidity tightening and bearish capital market. We have overcome a challenging year with the cooperation of all and become stronger as a Group. Year long liquidity tightening, sheer underperformance of capital market impacted the bottom-line results but last five years' impressive result will surely continue in coming days as we change ourselves in this dynamic business environment, intervene with strategies that conforms to sustainability and long-termism. Issuing Right Share has increased our shareholders' consolidated equity by 18% from 2017, Alongside, subordinated bond of BDT 1,810 million has strengthen our supplementary tier 2 capital. These strategic initiatives improved our capital adequacy ratio (CAR) to 16.18 % on consolidated basis and 15.74% on standalone basis which are 35.4% and 33.24% higher than last year. We have successfully arranged BDT 1,676 million foreign fund which will be received in the start of 2019. All these implies our strong liquidity position and prospective growth. Credit Rating Agency of Bangladesh (CRAB) has rated LBFL “AA3” for long term and “ST-2” for short. Achieving SAFA, ICAB, ICMAB Awards for best presented Annual Report and Corporate Governance for last few consecutive years proved our consistent accountability to stakeholders in terms of transparency and integrity. In the year 2018, with 7.86% GDP growth Bangladesh broke the record of its highest ever GDP growth in recent years exceeding last year record of 7.28%. GDP growth for financial intermediations was 7.90% in 2018. Although the political environment was very much stable for the year, tension developed at the later part of the year to the lead up to the election. The government has targeted to keep higher gear for investments in power and transport infrastructure and higher private sector credit growth. Given current trends, Bangladesh is clearly entering to another higher growth curve. For us, 2019 is going to be an exciting year to utilize our financial and infrastructural strength to meet forthcoming challenges. We believe that the Government’s ambitious infrastructure development program supported by a fast-track implementation will help our nation to achieve higher growth in the near future. In this backdrop, as a financier, we will enjoy higher credit growth to support private sector activities linked with those developments. Armed with sense of collective achievement we look forward to the next phase of our journey towards growth and prosperity that will be built on the good work done so far. As on 31 December 2018, our SME portfolio stood at BDT 17,514 million, showing a growth of 9.81% from last year. In order to exploit the huge opportunities in SME sector, we deployed different strategies aimed to grow and achieve a diversified portfolio. These strategies are aligned with our endeavour of increasing geographical footprint. We are planning to ensure our presence in the major SME business hubs all over the country. In 2018, we focused heavily on both SME and Personal Financial Services. In contrast to last year, our credit card portfolio has shown significant growth of 25.37% in 2018 with its client base growing sharply. Card usage stands at BDT 8,228 million which was 33.35% higher than 2017 usages. Our Home Loan portfolio has grown by 7.42% from last year to BDT 13,159 million in 2018 from BDT 12,250 million in 2017. Our prime vision for 2019 is to ensure that branches play a bigger role in promoting Retail and SME lending and driving medium term business goals. Our term deposit has grown by 3.3% in 2018. This is in line with reducing dependency on bank borrowing which is a major prerequisite for a NBFI to have sustainable future. Despite in the fall of overall profitability due to reducing spread, bearish Capital market, tightened liquidity, we have been able to keep the confidence of our stakeholders with strong balance sheet. Our endeavour reflected in equity growth of 18% and 24% in terms of consolidated and standalone basis, 5% and 11% NAV growth in both consolidated and standalone basis respectively, 3% growth of asset portfolio, 15% increase in public deposit, 14% standalone growth in net interest income as on 31st December 2018. Our separate earning asset has reached at BDT 76,656 million which indicates a growth of 2.3% from last year. As the industry passed a dry season in the year, LBFL faced tightened liquidity which reduced overall loan disbursement to BDT 38,754 million with a negative growth of 31.7% from last year. Consolidated revenue for 2018 has been BDT 11,061 million which shows a growth rate of 10.82% from the previous year, of which 82% was from interest earning products, 4% from investment income, 6% from commission & brokerage income and rest 8% from other income sources. As the capital market was bearish and financial industry suffered liquidity crisis LBFL experienced 68.68% negative growth of group profitability. Consolidated Pre-tax profit was recorded at BDT 709 million for the year 2018, which was BDT 2,265 million in the previous year. Lease, Loans & Advances Portfolio of LBFL shows a growth of 3% from BDT 61,914 million in 2017 to BDT 63,785 million in 2018. Retail portfolio grew 1.85% and now stands at BDT 27,550 million, whereas Corporate portfolio has reduced by 1.02% from BDT 18,915 to BDT 18,721 million. SME financial services division shows a good growth of 9.8% from BDT 15,949 million in 2017 to BDT 17,514 million in 2018. Capital Adequacy Ratio (CAR) at the end of 2018 stood at 15.74% on separate basis and 16.18% on consolidated basis against the Bangladesh Bank’s stipulation of 10% which was 11.81% and 11.95% respectively in 2017. This shows the strength of Capital and the level of compliance of LankaBangla with the regulatory requirements and to ensure a sustainable growth. Market price of our share had shown fluctuation throughout the year in between BDT 22 and BDT 38.5 and finally settled at BDT 22.9 at the end of 2018. For the year 2018, our Consolidated Return on Assets (ROA) was 0.51% compared to 2.58% of 2017. LBFL’s individual Return on Equity (ROE) was 8.76% in 2018. Consolidated Return on Equity (ROE) for the year 2018 was 4.90% and its five-years cumulative average growth rate was 11.16%. As capital market did not provide return as per expectation, LBIL and LBAMCL contributed negatively to a reduced consolidated ROE over the year. Consolidated Earnings per Share (EPS) for 2018 stood at BDT 0.85 compared to BDT 4.15 in 2017. Due to political uncertainty in an election year, liquidity crunch in banking sector and continued bearish capital market throughout 2018, our bottom line result has been greatly affected. As profitability decreased and number of shares increased with Right Issue EPS stood significantly low. Fund Under Management has risen to BDT 144,425 million in 2018 which was BDT 142,825 million in 2017. Our targeted FUM is BDT 197,414 million with 32% growth in 2019. With the launching of fund management service through LankaBangla Asset Management Company Limited, LankaBangla is the pioneer financial institution in Bangladesh to operate at full capacity in Capital market of Bangladesh. LankaBangla Securities Limited (LBSL) maintained its leadership in both of the exchanges (DSE & CSE) in terms of transaction value for the last 13 years and 14 years respectively. Despite daily turnover in both the bourses decreased significantly in 2018, LBSL was able to register 8.30% market share in major exchanges which is so far the highest market share retention in LBSL’s history and eyes to capture 8.93% market share in 2019. We expected to secure 30% market share in foreign trade in 2019 following 27% market share in 2018. Decreasing transaction volume reduced 38% brokerage revenue in 2018 which had touched billion land mark last year. The company's drive to increase retail client base resulted in 10,924 new BO Accounts in 2018. 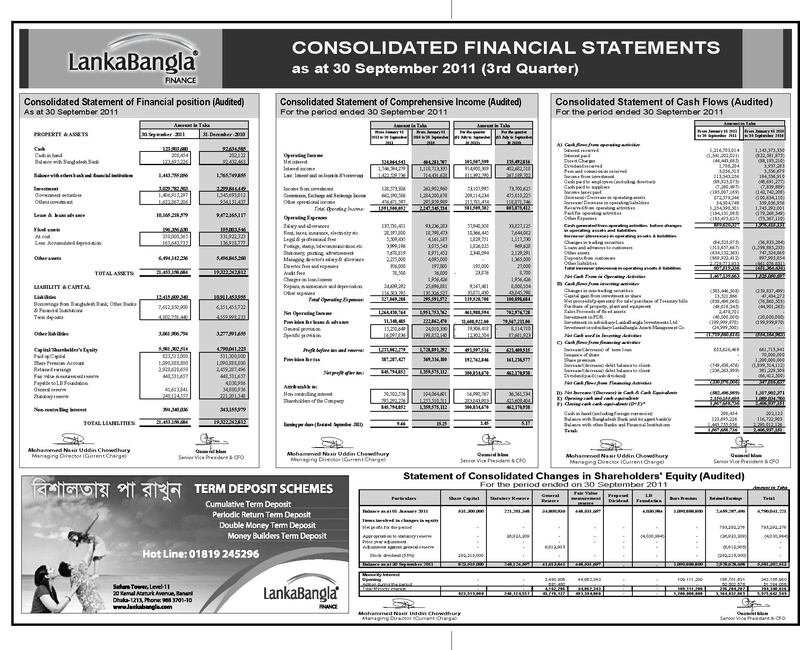 LankaBangla Investments Limited (LBIL) maintaining its leading position in primary market operations by arranging BDT 7,971 million for its clients through primary market services, successfully arranged IPO sized BDT 4,250 million, signed some major contract to provide corporate advisory and issue management services. Gradually this merchant banking wing of LankaBangla Finance Limited is focusing non-funded earning sources more than fund based earning sources. LankaBangla Asset Management Company Limited (LBAMCL) has passed only its second year in the Asset Management industry with wealth management products gaining increasing popularity amongst the investor community. Despite a predominantly bearish market trend in 2018, LBAMCL declared 5% Cash dividend for holders of its first unit fund named, LankaBangla 1st Balanced Unit Fund (LB1stBUF) which outperformed the market. In order to cater to the growing demand for Shariah based investment products, LBAMCL launched a Shariah based unit fund named, LankaBangla Al-Arafah Shariah Unit Fund in April 2018. This fund also outperformed the market and declared 4% Cash dividend for its shareholders. 2019 promises to be another exciting year for LBAMCL with two more unit funds sized total BDT 300 million expected to be launched in the capital market of Bangladesh. LBAMCL’s First Private Equity Fund is expected to be launched with fund size of BDT 250mn. Following the historic strategic partnership between Dhaka Stock Exchange and Chinese Consortium comprised of the Shanghai Stock Exchange (SSE) and Shenzhen Stock Exchange (SZSE) in 2018, it is obvious that Bangladesh Capital market has entered a new era which will take shape with new product proliferation (e.g. ETF, Derivatives etc), technological advancement and automation. LBAMCL is fully prepared to embrace the upcoming developments and changes to better serve its investors and take its service to the next level. As we are ambitious to provide optimum customer service with the help of latest technology we have continued to upgrade our IT backbone in 2018. We have implemented Tranzware Project for credit card operation, IFS (ERP) project are to Go Live in early 2019. LBSL updated i-Broker apps to provide Real-time Portfolio Status, Stock Watch list, Online Payment facility through Internet & Mobile Banking which is now available in IOS devices. We have designed new portal to replace old LankaBangla Financial Portal which will reduced Fixed Cost considerably. In the year we have established fully operational call center for stock brokerage services. The private sector credit recorded 13.33% growth in December 2018 which is significantly lower than that of last year. We are expecting GDP growth of 7.80% in 2019. Bangladesh Bank mulls to tighten credit supply and curb excessive lending due to prospective inflationary pressure on economy. The ADR of all banks has been re-fixed by Bangladesh Bank at 83.50% for conventional banks from June 2018 to check any possible liquidity pressure. This directive has put pressure on banks to attract more deposits in 2018 and expected to continue in 2019. The current account registered a deficit of USD 9.78 billion in 2018, which is the largest deficit in the country’s history and 3.6% of GDP. So, it will be usual to have a deficit in the current account balance in FY19 with a bit of a lower figure as we expect lower imports of food grains in 2019, which contributed a large part to the current account deficit in FY18. As the competition in collecting fund rises in the financial industry, borrowing cost has risen gradually in 2018 which will be continued in 2019. So, NIM would be under pressure throughout the year 2019. Political condition is expected to be stable as we have held the National Election in late 2018. We will continue to search new and cheap sources of fund, would remain cautious in lending and will rebalance our portfolio to higher yield segments as a measure to maintain our desired margin. In expanding our footprint, our aim is to ensure our presence selectively in strategically important places for SME & Personal Financial Services. We envisage that all our branches will be equipped with advanced state-of-the-art technology and deliver superior client service. We are conscious of the immense potential in the new growth areas of the Bangladesh economy, and will invest in preparing our human resources to cater to these specific market segments. Our branch network already comprises of 27 locations country-wide. As we grow in geographical presence and strength, we are committed to be most preferred financial service provider of the country. Contributions from all of our stakeholders puts us to the path of durable growth making us even more confident in achieving long sustainable and superior return. I sincerely thank the Board of Directors, members of Management Committee and all members of our staff for their contribution. Finally, none of this would have been possible without our investors, loyal customers and all other stakeholders who have pledged their confidence constantly in LankaBangla brand. We look forward to continue our journey towards mutual growth and prosperity.